Many areas of land that are good for wildlife can benefit from suitable grazing, this is particularly the case for grassland sites or areas of heath or moorland. These sites are usually not economic to farm and are often isolated or small. The main remit of Flexigraze is to provide suitable grazing for these hard-to-manage sites whether remote or within our towns and cities. Conservation grazing often needs small numbers of livestock and sometimes requires specialist breeds. 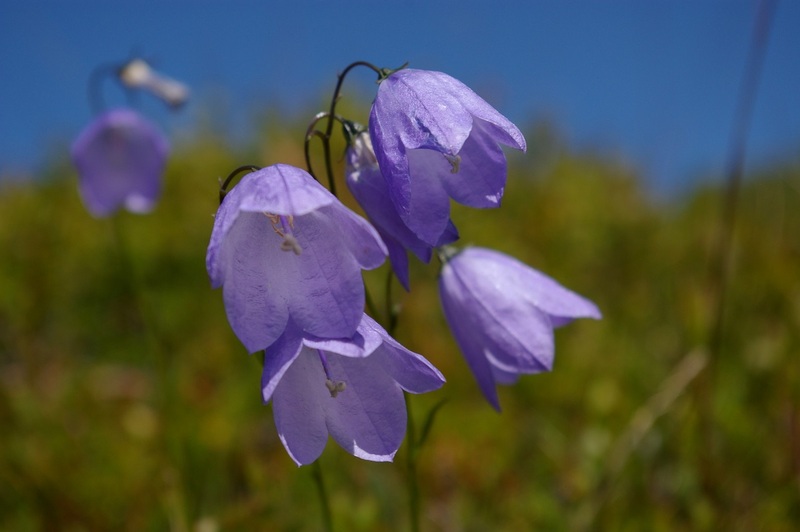 The result of good grazing management can be an increase in wild flowers or greater success for ground nesting birds. Grazing helps prevent scrub encroachment and can help control invasive species. 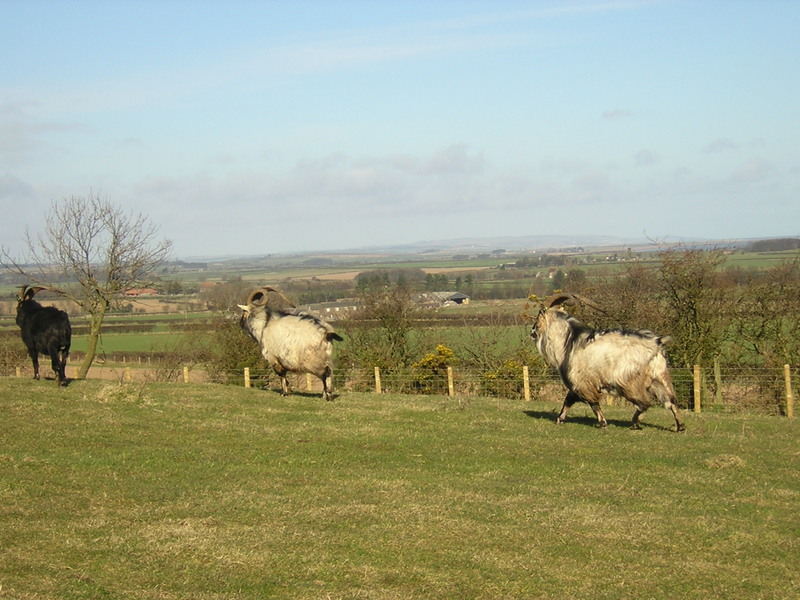 More information on our grazing animals can be found here. Land managers who are having difficulty in achieving suitable conservation grazing should consider joining the scheme and let Flexigraze take the strain in finding the suitable grazing. Flexigraze cannot help to make areas suitable for grazing, it is the responsibility of the owner to ensure that there is a suitable infrastructure and that the site is safe to be grazed. However Flexigraze can help advise on the works that you would need to carry out to make it suitable for grazing. We provide grazing for a variety of landowners from quarry companies to local conservation charities. Please get in touch with us if you would like more information on Flexigraze grazing. Why do we charge for Grazing? Most grazing in the UK is subsidised through the ‘basic payment’ scheme (via EU Common Agricultural Policy and any planned replacement). Flexigraze does not claim any subsidy leaving this to land managers to do so if they wish. Stewardship agreements also help pay for grazing management and these, again, rest with the landowner. We help fulfill the requirements of both stewardship and farming management through contract grazing although we are doing so on marginal land with often complex constraints. Lamb sales help fund Flexigraze but they only cover a part of our costs. While we do make a charge for grazing this is usually less than the costs would be for alternative management regimes such as mowing and scrub control and often results in a better variety of wildlife. Flexigraze takes full responsibility for the livestock it provides including veterinary costs and transport to and from the site as well as regular checking while there (although we welcome help in doing these checks). What do we charge for Grazing? Grazing units cost £1 each. Each grazing unit covers the cost of 1 cow for 1 day, 1 pony for 1 day or 5 sheep for 1 day. There is a minimum charge of £250 per site to cover costs of transport. Grazing units are not time limited and can be saved for future use. Long term grazing rates are cheaper. Grazing units must belong to a member rather than a specific project but we can earmark these for you if required. There is a membership fee of £350 which gets you 250 grazing units which must be used within the year. We can develop grazing regimes to fit your existing requirements (e.g. through Stewardship agreements) or we can work with you to develop suitable grazing for your site and can give you an idea of the costs. Please get in touch with us to find out more.